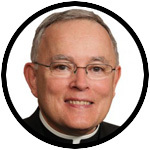 An important last-minute plea from the Archbishop: On Sunday, March 19 at 4 p.m., Archbishop Chaput will lead an archdiocesan prayer service for immigrants and refugees at the Cathedral Basilica of SS. Peter and Paul. Because of recent ICE actions to detain and deport the undocumented, immigrants may avoid the very service intended to show them the Church’s support. The Archbishop urges ALL Catholic citizens and legal residents in the Greater Philadelphia region to attend the Sunday afternoon prayer service as an expression of fraternity and concern for the immigrant community. We’ve seen both mass demonstrations of support for those adversely affected, and strengthened resolve by those who want tighter immigration restrictions. Good people — a lot of them — exist on both sides, and we need to resist the temptation to demonize the motives of those with whom we disagree. The ensuing polarization among the general populace has uncovered deep divisions among Catholics who find themselves at odds with family, friends, colleagues and fellow parishioners. Immigration policy is complex. It involves many competing values, among them the duty of government to ensure the security of U.S. citizens and legal residents. That responsibility must be balanced with our country’s long history of welcoming newcomers, especially those fleeing persecution. The U.S. bishops have repeatedly called for deep immigration reform aimed at meeting both goals. We need to pray that our leaders exercise the good judgment needed to come to a reasonable solution to the current impasse, and soon. Catholic Social Services (CSS) has for many years offered low-cost legal services to help immigrants, refugees and asylum seekers with document preparation and help with visas, permanent residency, work authorization and citizenship. Their work has reunified thousands of families over the past four decades. Additionally, CSS had successfully administered a Refugee Resettlement Program in the past, and at the invitation of the U.S. Conference of Catholic Bishops (USCCB) recently restarted an effort to help to refugee families with housing, job opportunities, educational placement for children, and medical services. Under a contract with the U.S. State Department through the USCCB, four new staffers were hired to begin receiving referrals from places like the Democratic Republic of the Congo, Eritrea, and even Syria. The USCCB has also provided a grant under its Parishes Organized to Welcome Refugees (POWR) initiative. It’s being used to build an informal coalition of archdiocesan resources, parish-based groups and independent Catholic organizations engaged in helping immigrants and refugees with supportive services. Collaborative efforts have grown across the region. These offer training to both documented and undocumented immigrants about their rights under the law. This St. Patrick’s Day, March 17, is a good time to remember that Catholics originally came to this country as poor, often non-English-speaking immigrants seeking a better future. Philadelphia became the adopted home of a Bohemian immigrant priest who became our city’s bishop and later saint, John Neumann. As immigrants, Catholics were the target of a bigoted Nativist movement whose adherents torched Catholic churches in urban areas all along the East Coast. For exactly this reason, our cathedral, built during that turbulent time, has its only stained glass windows placed unusually high – above the reach of potential fire bombs. One concern I have amid this painful need to help those who live in fear and desparation,. I am also concerned about those who following the regular governmental immigration program. Are they affected by those who coming illegally? Is anyone speaking with them and supporting them in following he law? Are they being harmed due to following the law. While it is true that immigrants to this country were discriminated against and treated horrifically, they did not come to this land to do it harm. The U.S. citizens who did not welcome them were prejudiced and simply unchristian in their behavior. Granted, the vast majority of immigrants today are here to seek asylum or for other legitimate reasons, but even a small percentage of the huge number of immigrants that are flooding into the country today who wish us great harm, makes a stricter vetting system worth it. If one looks at what is actually proposed by this policy, it is NOT turning away the immigrant permanently at all – it is simply saying, “Wait a minute. Given the horrific acts (from several single child rapes reported to mass killings) that have happened relatively recently by illegal immigrants, let’s just step back, reassess our policy, get some safety measures in place, and begin anew.” I don’t see anything unchristian about that. Even Jesus’ beloved Jerusalem and Temple had walls to protect themselves. Sorry, rereading my post I meant to make it clear that my initial references to immigrants were to those who came here in previous decades, even centuries, not immigrants who have come in the last (say) 5 years. Any immigrant who comes here Legally is welcomed. If there is a long line, so be it – why are they coming and isn’t a legal wait what all of our legal immigrant parents endured? The wait has to be worth it and IS a way to know who wants to be here as an AMERICAN citizen. All of my ancestors came legally and did not know english. All learned BECAUSE they wanted to assimilate – that is a way to know if someone wants to be a good AMERICAN citizen. If not, please do not come! If you are not willing to assimilate by working and going your own way without government help, ok. If not, please go else where. None of my ancestors had any government help. Do not preach to me about the fact that we were all at one time immigrants unless you define what they went through and were willing to work toward assimilation without government help. No to sanctuary cities, No to none assimilating peoples. If this country fails, where will there be a safe place to go! The old immigrant rules worked and is the time in our history which all those who want to ease the rules but forget HOW WELL AND WHY IMMIGRATION WORKED SO WELL BEFORE 1960. Look, notwithstanding legally right and wrong, how our forbearers entered the US, or one’s background in Catholicism, the best attitude is to heed or at least consider counsel from our Bishops and priests, from the official position of the Catholic Church. The hierarchy safeguards the Faith. Thoughtless reactions contrary to the Bishops have not brought us anything of merit in following the teaching of Jesus. They are rash explosions of resentment, envy, and anger. We can have varied opinions not in exact harmony with the hierarchy, on limited subjects only, although one should be cautious even there, but we owe this great Faith and the great priests of the Archdiocese of Philadelphia our respectful adherence to their teaching. My church provides a ministry to many undocumented people. They had had no way to get here legally or the “line” was too long to be separated from loved ones, ie 12 to 23 years. Many came fleeing violence and were desperate. They do not receive any assistance from the government. Retired INS agent here. And pre Vatican II cradle Catholic. Good thing I have done a lot of homework, have a lot of experience, and no thanks to the CCB, still have freedom of conscience. There are many laws I disagree with but as a good citizen don’t break them. I take my discipleship seriously as I do my responsibilities as a citizen. If you’re hear legally and pulling your own weight, welcome. If your here illegally and living off government assistance, you’re not. When will the Church speak up for the “Deplorables” or is that too politically incorrect.